Ours was a TDI model featuring a fuel-thrifty 2.0-liter 140hp turbodiesel inline four-cylinder engine in a front-drive configuration that was surprisingly swift. The inherent nature of turbodiesel engines gives them a low-end torque boost that equates to a feeling of enhanced acceleration when gripping the wheel. Another benefit of the TDI powertrain in the Jetta is the 30 mpg we saw around town and more than 42 mpg out on the highway with the AC running full tilt. OK, we were not looking for any Pony cars to test our driving skills against but with the six-speed manual gearbox and electronic differential lock we enjoyed a good bit of giddyup during our week. As I mentioned earlier, it seems as if the makers of the “people’s car” have cleaned up the new models while simplifying design and content. This is not meant to be read as “cheapened” but some critics have expressed their opinions in that direction. 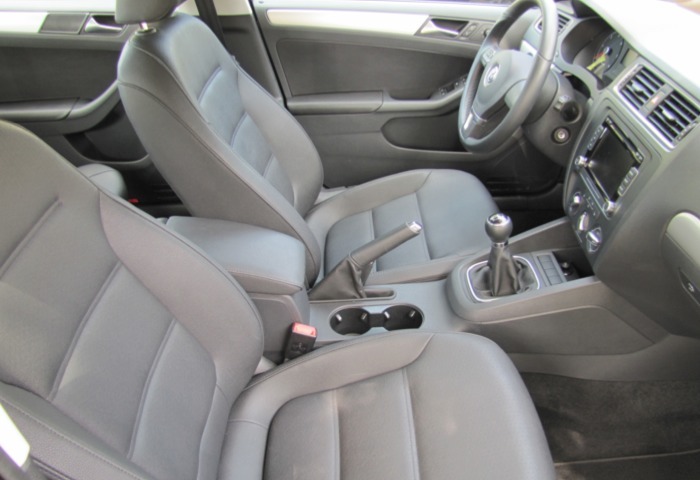 The car is comfortable, roomy and simply works. It drove extremely well on the road both in town and out on the open stretches of wide open spaces we explored as we barely dipped into the 600-plus mile range of the TDI fuel tank. And the new TDI is 50-state compliant for emissions. 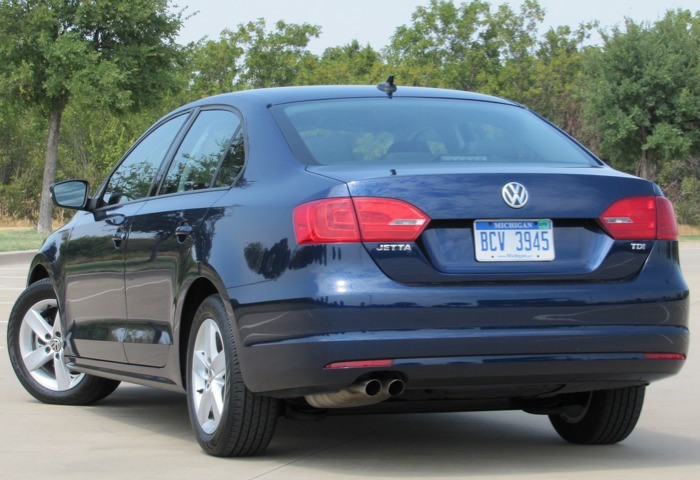 The new Jetta is rated a compact-class car but it feels like it is more mid-sized. While listing Honda Civic as a class competitor I would put its on-road feel leaning more towards that of Accord. Trunk space is still cavernous and rearseat legroom is tops in its class and the new Jetta features all of the latest safety technology while also offering all the creature comforts we have become spoiled with. Pricing for our TDI tester came in at $23,765 placing it at the upper end of the pricing scale for the new car. Should something a bit sportier be your flavor a new GLI model will be arriving in showrooms soon. 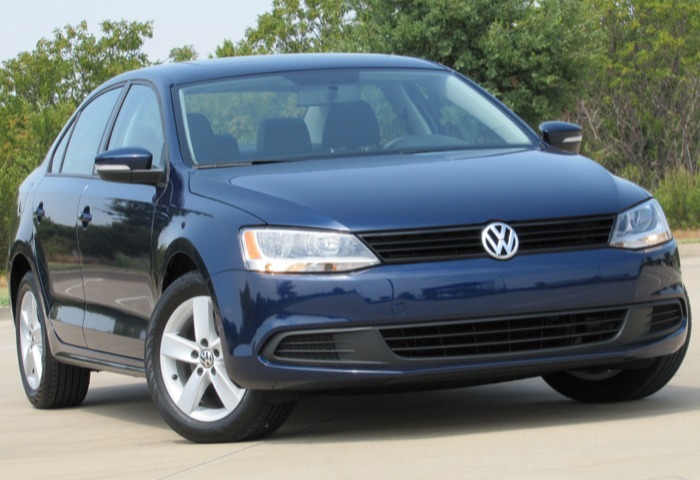 This all-new “cheaper” 2011 Volkswagen Jetta is by no means a cheapened car. Herndon, Va., October 5, 2011 ?? 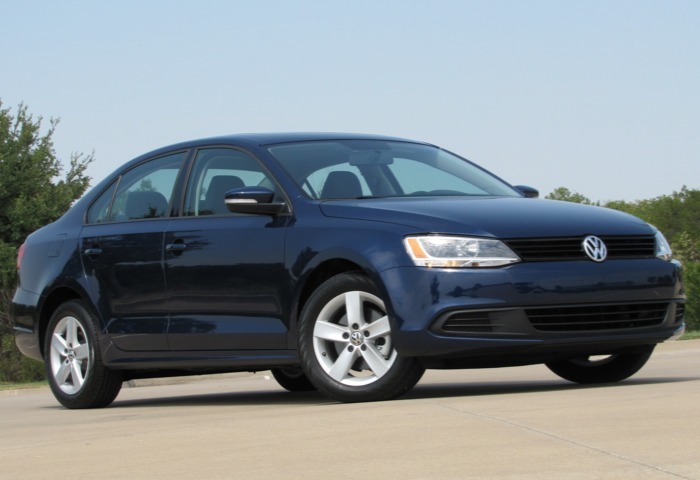 Volkswagen is conducting a voluntary safety recall on approximately 159,884 Volkswagen Jetta and Jetta SportWagens manufactured from May 2008 through September 2011 and Golf models manufactured from May 2009 through September 2011. On vehicles manufactured during these time periods and equipped with the 2.0L TDI® Clean Diesel engine, certain vibrations can potentially result in a fuel line cracking, possibly causing a fuel leak. Volkswagen is not aware of any accidents or injuries caused by this issue. In order to prevent this incident from occurring, customers will be sent notification letters beginning in November, requesting them to contact an authorized Volkswagen dealership for inspection and repair. The fuel injection lines will be inspected and replaced, if necessary. On all vehicles with 2.0L TDI® Clean Diesel engine vibration dampers will be installed. This procedure will be performed free of charge. Customers with questions or concerns should contact Volkswagen Customer Care at 1-800-822-8987.